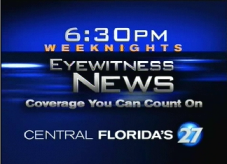 It was a solid if unremarkable debut Monday for WFTV’s new Eyewitness News at 6:30 p.m. on sister station WRDQ-TV 27 — and that’s probably exactly what you want out of your first show. The big problem for all the stations on Monday — there just wasn’t that much news on Labor Day. 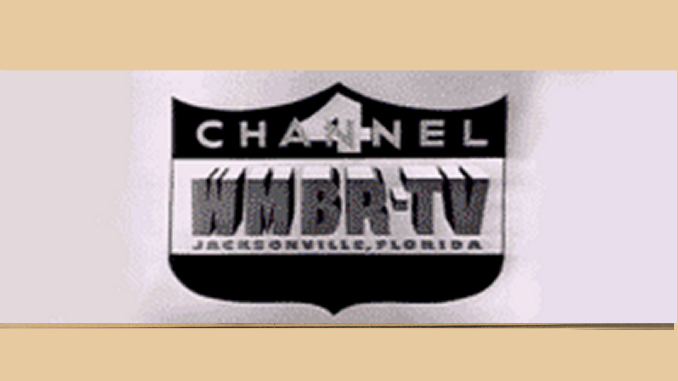 At 6, all the stations led with that tried-and-true fallback for Central Florida: It was raining. But it was weather-related news that the 6:30 show kept repeating. A semi-truck jackknifed on a slick Interstate 4, closing the westbound lanes. Anchors Vanessa Welch and Josh Bronson had five reports on the accident during the 30-minute show. Other than the initial report, the only other “news” about the accident was that fuel was leaking from the truck. Still, worthy of five mentions? Maybe when nothing else is going on. So, what’s the new 6:30 news good for? Basically, you can skip the 5, 5:30 and 6 p.m. Eyewitness News shows and get everything that’s important in the 6:30 show. Well, everything except sports — showing how that topic continues to diminish in importance for Orlando’s stations. So, if you get home late and don’t care about sports, this is the newscast for you. I did have to chuckle at the promos for the new newscast which proclaim, “Now there’s local news at 6:30!” I’m sure that comes as a surprise to the folks over at WKMG, who have been producing their hourlong 6 p.m. news for more than a year.